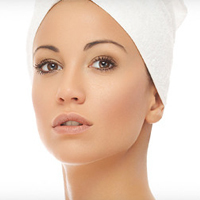 ND Skin Clinic Prestwich » Swich dermal rejuvenation system..
A scientific breakthrough that helps enhance cell function and gradually restores skin to its youthful appearance. 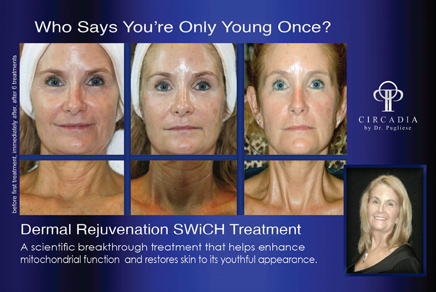 SWiCH™ dermal rejuvenation system is an alternative to non-surgical treatments and chemical peels. This is a very relaxing and enjoyable treatment (1 hr) and includes a hand, foot or neck and shoulder massage as your bonus treatment. Combining SWiCH™ dermal rejuvenation systemand RF is ultimate anti-aging treatment for tightening and lifting loose skin around the face, neck and décolletage. Allows the natural repair process within the skin to become active. Restores both sun damaged skin and intrinsic skin aging changes. The SWICH™ System is a leave-on system. The active ingredient remains to provide the continuous treatment for repair and restoration.